VMware launched a cloud-based disaster recovery service that is geared toward providing virtualized data centers with continuous protection and uptime. "Everyone wants enterprise-class disaster recovery, but without the complexity and cost of traditional [disaster recovery]," said Jerry Sanchez, vice president of Hosting Operations, Planview, a VMWare partner, in a statement. "Typically, [disaster recovery] services require expensive professional services to install and maintain. With the VMware solution, the data and applications are…ready to go whenever trouble strikes, and with the benefits of a cloud-based economic model." VMware has been focused on efficiency recently. 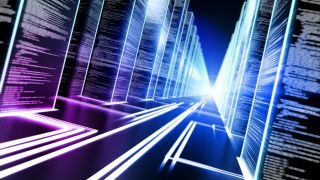 Last month, the company launched a hypervisor-converged architecture that allowed Virtual SAN to deliver efficient data paths, which the organization said would reduce CPU resource consumption to less than 10%. The Disaster Recovery release is geared toward enabling organizations to maintain constant data uptime without incurring the cost of having a tertiary data center or an entirely duplicated data set. The solution is available for $835 per month with 1TB of storage ad standby cloud capacity. It can supply 10 GHz of CPU and 20 GB of RAM, Mathew Lodge, VP of VMware's vCloud Hybrid Service told Information Week. VMware's Disaster Recovery solution will be added to already-existing infrastructure deployments and it can be added as part of a new VMWare deployment. What is VMware's historical significance in the virtualization industry?